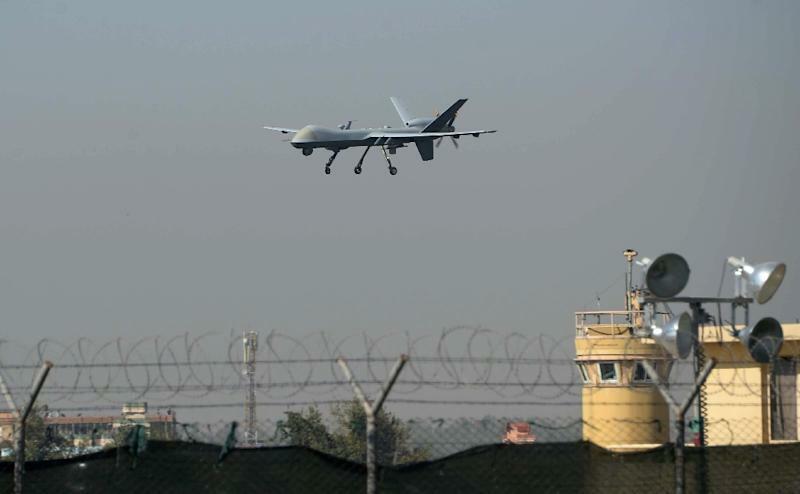 Kabul (AFP) - A suspected US air strike on a hospital in Kunduz Saturday left three Doctors Without Borders staff dead and dozens more unaccounted for, the charity said, days after Taliban insurgents overran the northern Afghan city. The MSF facility is seen as a key medical lifeline in the region and has been running "beyond capacity" during recent fighting that saw the Taliban seize control of the northern provincial capital for several days. The strike early Saturday left the building engulfed in flames, with photos posted by MSF on Twitter showing shocked and dazed staff in the aftermath of the bombing. 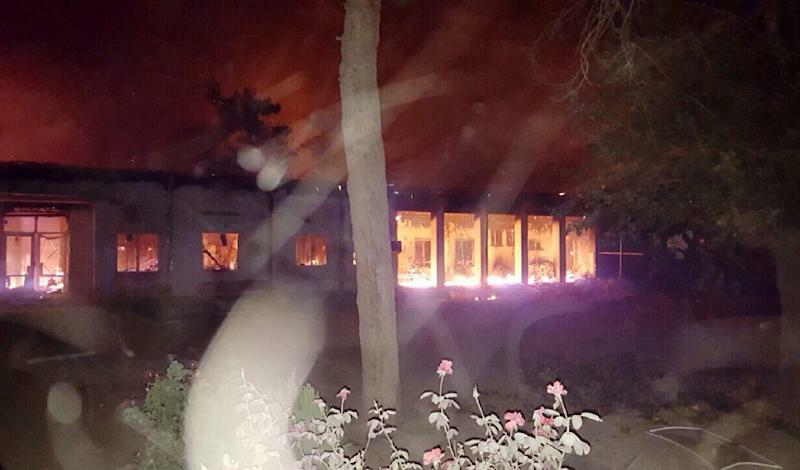 "At 2:10 am (2040 GMT) local time... the MSF trauma centre in Kunduz was hit several times during sustained bombing and was very badly damaged," it said in a statement. "Three MSF staff are confirmed dead and more than 30 are unaccounted for. The medical team is working around the clock to do everything possible for the safety of patients and hospital staff." Kunduz has seen heavy fighting since Taliban insurgents overran it on Monday. It is the first major city to be captured by militants since 2001. MSF said some 105 patients and their caregivers, as well as more than 80 international and local MSF staff were in the hospital at the time of the bombing. The charity had stated Friday it was treating 59 children at the facility. NATO conceded that US forces may have been behind the strike. "US forces conducted an air strike in Kunduz city at 2:15 am (local time)... against individuals threatening the force," a NATO statement said. The destroyed MSF building was filled with the smell of burning flesh and some bodies were charred beyond recognition, said Qiamudeen, a 31-year-old shopkeeper whose neighbour was killed in the strike. "I was shocked, emotional and in tears when I reached the hospital," Qiamudeen, who goes by one name, told AFP. "I had to get permission from Taliban insurgents blocking several parts of the city, desperately pleading with them to let me go to the hospital as my neighbour had been killed." Another resident said he was desperately trying to contact six of his friends, all doctors and nurses at MSF, but their cellphones were unreachable. "I don't have any news from them and they may have been killed," he told AFP. He said many people with wounded relatives at the facility were too afraid to step out of their homes to check on them amid erratic firefights between troops and Taliban snipers lurking in the city. The Afghan government insists the city is firmly in their control. The MSF trauma centre in Kunduz is the only medical facility in the whole northeastern region of Afghanistan that can deal with major injuries. "We are deeply shocked by the attack, the killing of our staff... and the heavy toll it has inflicted on healthcare in Kunduz," MSF director of operations Bart Janssens said in a statement. "We do not yet have the final casualty figures, but our medical team are providing first aid and treating the injured patients. We urge all parties to respect the safety of health facilities and staff." Kunduz is facing a humanitarian crisis, with thousands of civilians caught in the crossfire between government forces and insurgents. Precise losses in the fighting were not known, but health authorities said Friday that at least 60 people have been killed and 400 wounded. "This is an appalling tragedy," the International Committee of the Red Cross said about Saturday's strike. 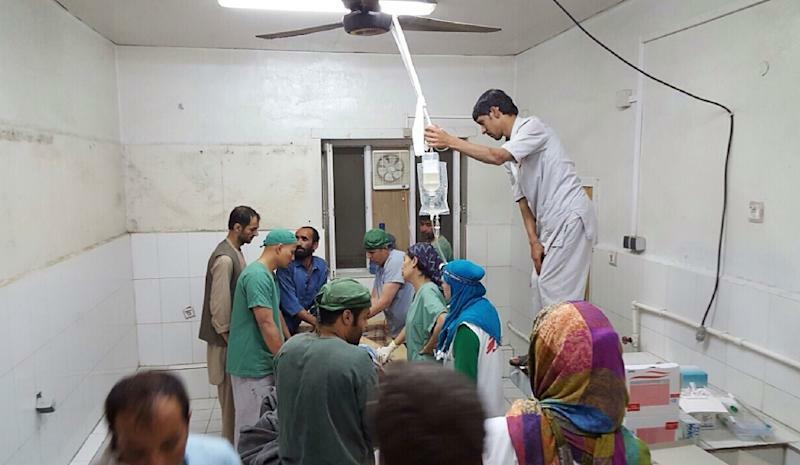 "Such attacks against health workers and facilities undermine the capacity of humanitarian organisations to assist the Afghan people at a time when they most urgently need it." As fighting spreads in neighbouring Badakhshan, Takhar and Baghlan provinces, concerns are mounting that the seizure of Kunduz was merely the opening gambit in a new, bolder Taliban strategy to tighten the insurgency's grip across northern Afghanistan. Civilian and military casualties caused by NATO forces have been one of the most contentious issues in the 14-year campaign against Taliban insurgents, provoking harsh public and government criticism. In a statement, the Taliban accused "barbaric American forces" of deliberately carrying out Saturday's strike, which "killed and wounded tens of doctors, nurses and patients". US-led NATO forces ended their combat mission in Afghanistan last December, though a 13,000-strong residual force remains for training and counter-terrorism operations.